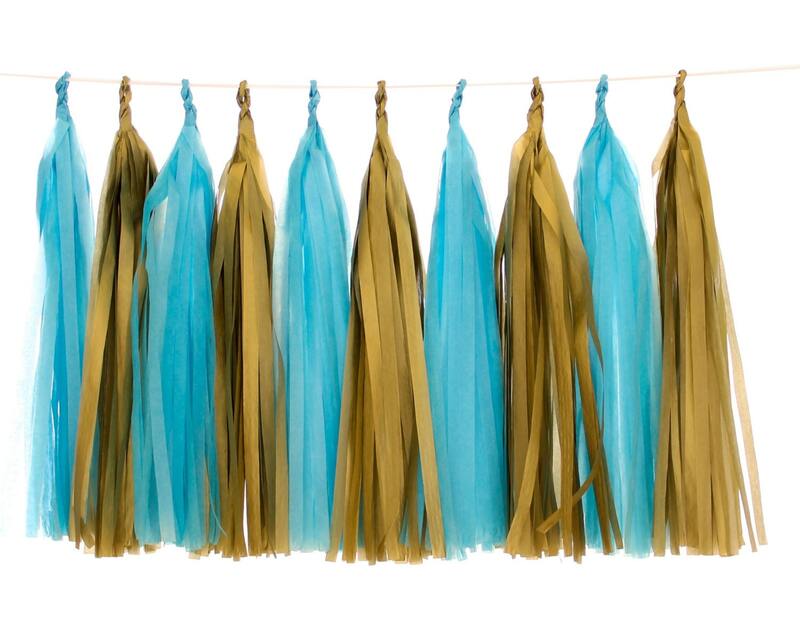 Tissue paper tassel garlands are the perfect final detail for your next special event. Tassels add a bit of whimsy to any festivity. Perfect for a rehearsal dinner, birthday party, bridal shower, or casual reception. ~ SIMPLE ASSEMBLY REQUIRED ~ We will include instruction that make it super easy. Includes 10 pre-cut tassels ready to assemble. Each tassel is 12" long when assembled. 6 feet of cream bakers twine will be included to hang your garland. You will also receive one narrow white ribbon per color of tassel measuring 40" in case you want to hang the tassel colors separately. * Please note that colors can appear slightly different due to various factors: lighting, monitor, manufacturer batch color variation. We carry 30 different color of tissue paper tassels as well as an assortment of multi color tassel garland sets. You are sure to find the perfect tissue paper tassel garlands at Eve's Party Market.